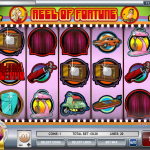 Reel Of Fortune is a 5 reels slots game by Rival and if the name sounds familiar then you were right. Yes, This is based on the famous tv show and the theme all screams from the 1970’s so it’s for all you fans of classic tv shows. There’s no Wild symbol in this game but there are two scatters which rarely enough none is a Free Spins scatter. The first scatter is the Plunko symbol and landing 3 or more will activate this bonus in which you play a game where you throw a ball into a machine. The second scatter is the Curtain symbol and landing 3 or more will trigger the Bonus Round. You will be in front of 3 curtains. 2 will have cash behind them and one will have a donkey. You get to keep on picking till eventually you obviously remain with the donkey. 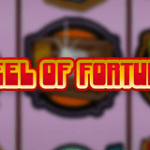 Reel Of Fortune is a pretty basic game with a below average graphics. It can be fun though for the bonus rounds but we were really disappointed to find out that there isn’t any free spins feature. Who doesn’t love a decent pub crawl? 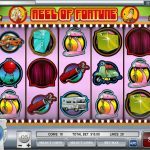 Try playing Pub Crawlers a 5 reel slot by Rival.